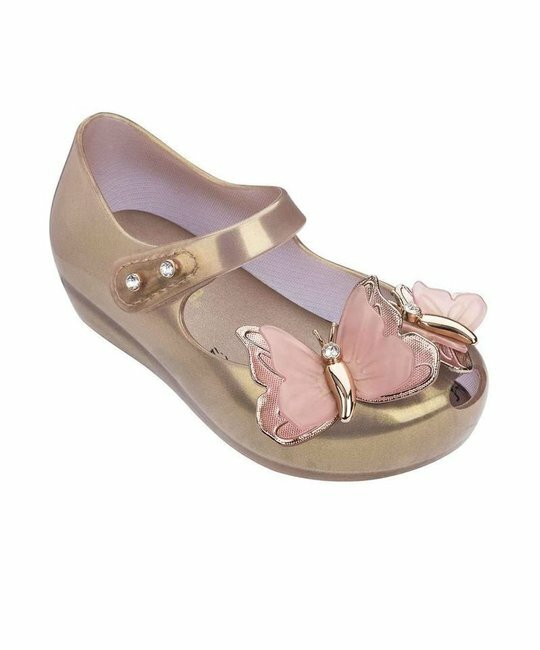 Mini Melissa metallic pink ‘Ultragirl Special’ ballet flats, featuring a velcro Mary Jane ankle strap, pretty peep-toe and sweet pink butterfly detailing at toe. PVC upper, lining and sole padded insole. Bubble gum scented. Made in Brazil.